Reformer Pilates classes from other exercise methods? How does Reformer Pilates classes differ from other exercise classes? How does Reformer Pilates classes differ from other exercise classes? 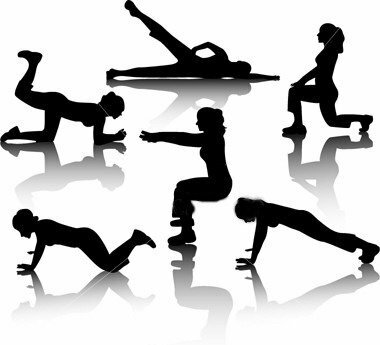 Discipline, concentration and controlled movements are the trade marks of Pilates. Pilates was in fact originally called “contrology” because J Pilates held the belief that to become fit and healthy, you also have to train your mind to connect with and control your bodies movements. To learn Pilates as a discipline it is vital that you have a instructor to guide you through the exercises with precise step by step instruction. Each movement must be practised correctly with the body aligned and the core engaged. The breathing technique keeps the breath in the upper torso allowing for the deep abdominal muscles to support ones organs and skeleton structure, and the mind is focused, keeping the mind and body connected during the routine. Pilates varies from other modern exercise methods because of its focus on controlled precise movement. Each Pilates exercise has been designed to give the practitioner the best results safely and efficiently. however, the method and variations of exercises is still flexible enough to allow for modifications dependent on the clients needs and abilities. Pilates educates the mind and body. As ones mental awareness develops it helps the body to benefiting from strengthening weak muscles, lengthening tight muscles and relaxing tense muscles. Working with controlled precise movement improves your understanding of your body and its capabilities and you work mentally and physically. Pilates activates a consciousness between the mind and body and it has been suggested that this new found awareness can lead to better eating habits, improve the nervous system and give the practicioner a more positive aproach when managing emotional issues and stress.